Cherupayar curry Kerala style recipe using coconut and spices is a South Indian Kerala style green grams curry recipe which makes a simple and delicious side dish for rice, kanji (kerala rice soup), puttu (Kerala breakafst dish) etc which is easily prepared using a pressure cooker. See recipe for cherupayar curry without coconut here, which makes a great side dish with chapathi or poori or dosa and also rice as well. Cherupayar curry Kerala style recipe with coconut(cherupayar curry with coconut) or Kerala style green mung beans curry with gravy (green grams curry recipe which is a very easy healthy recipe) makes a very easy to make, simple and tasty side dish for rice & puttu when served for lunch, dinner or even breakfast. 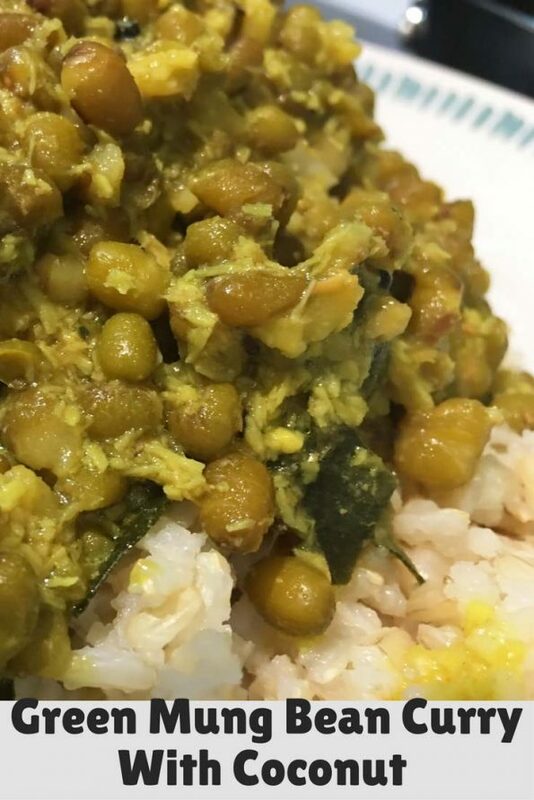 Cherupayar curry (cherupayar is the malayalam word for green mung beans or green grams)also makes a popular side dish for breakfast items as well as Indian homemade flat breads like chapati or nan. This cherupayar churry also known as cherupayar ozhichu curry recipe is one of the best ozhichu curry for rice & puttu (steamed rice flour breakfast from Kerala). You may also use this as a side dish for chapathi or dosa if you like coconut based gravies for a side dish. By the word ozhichu curry, it is meant that you can pour this curry over rice and mix and enjoy. 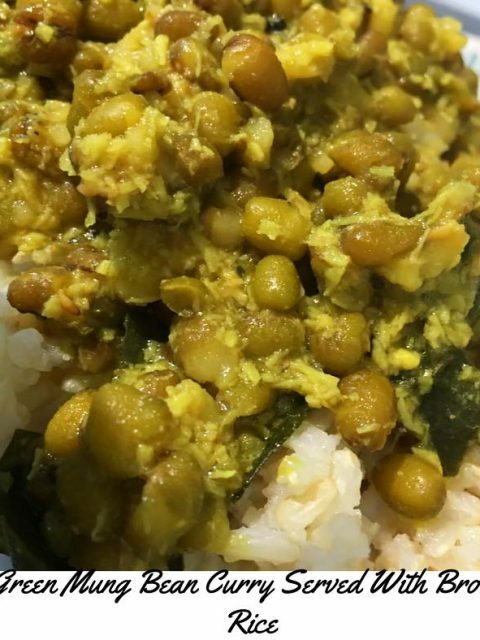 This green mung bean curry or cherupayar curry is also a very healthy dal curry recipe where we cook the healthy green gram or mung beans along with coconut and spices. Green mung beans or green grams is cooked with extra water and coconut paste along with very few spices is added to make this yummy curry known as cherupayar curry. The word cherupayar in Malayalam can be translated as small beans which refers to the green mung beans. 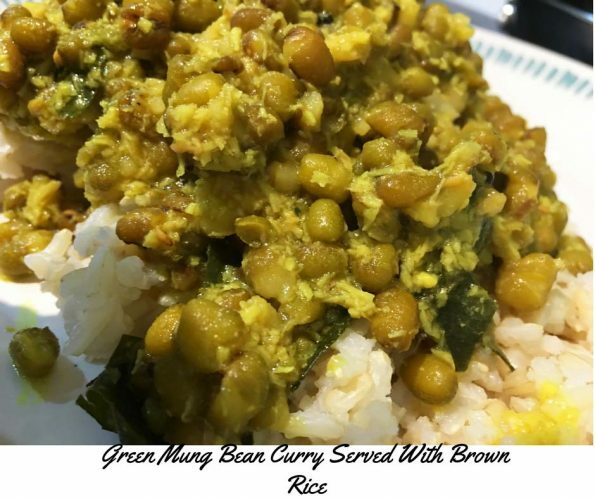 As I have already mentioned, green mung beans is also known as green grams and they are very healthy small sized legumes with green colored skin. Recipes using green mung beans as the main ingredient are very delicious, healthy and easy to prepare. This Indian coconut dal curry recipe using whole green skinned mung bean with fresh coconut and spices is healthy, vegetarian, vegan and this is made easy too. You can make this delicious cherupayar curry easily in a pressure cooker. You don’t have to soak the green mung beans in advance to cooking. Yes, this is very easy. You can just directly cook them in pressure cooker and they are ready to serve. Since we are preparing a curry recipe using dal which needs gravy in it, we are using the ratio of 1:6 (1 cup of green grams: 6 cups of water). However if you need less gravy, you can always reduce the amount of water ( for no gravy the ratio is 1:3 so adjust the amount of water according to the amount of gravy you need). So here is how you can make cherupayar curry with coconut or green mung bean curry with coconut for rice following this easy cherupayar curry Kerala style recipe with coconut and spices. 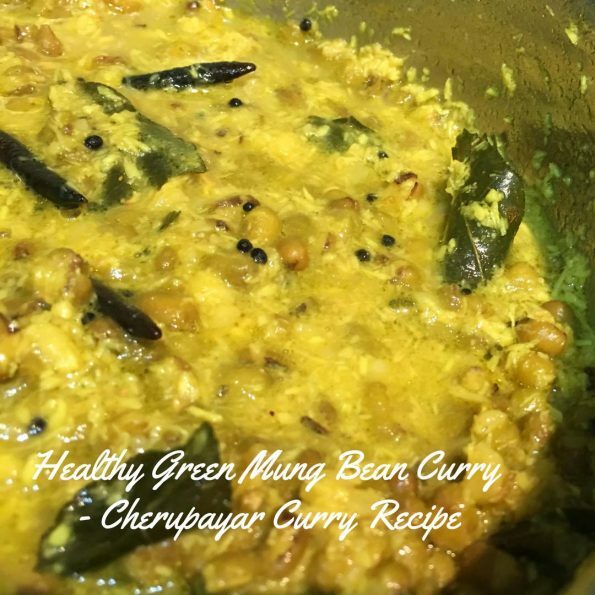 Cherupayar curry Kerala style recipe with coconut is a simple, delicious and easy Kerala style green mung bean curry or green gram curry which is prepared using green grams (also known as cherupayar or pachai payaru) in South India. This can be enjoyed as a side dish with rice, kanji (Kerala style rice soup), puttu (Kerala breakfast item) etc. Heat oil in a pressure cooker and splutter mustard seeds. Fry red chilies and curry leaves to make the tadka or seasoning. Add the green grams (mung beans or cherupayar), coconut and all spices, mix everything well and slightly saute for 1 to 2 minutes. Add the water and salt, mix everything well and close the pressure cooker with the lid(don't forget the valve and always follow the instructions in the manual for safety). Cook for about 7 to 8 minutes or until 1 whistle (some pressure cookers have whistle feature). Switch off the stove after the above mentioned time, your curry should be cooked and ready by this time. Allow the pressure cooker to cool down. Once the pressure cooker is cooled enough, you can open the lid of the pressure cooker. Serve the cherupayar curry hot or at room temperature for lunch or dinner along with rice or chapathi, dosa, puttu etc as you wish! This cherupayar curry Kerala style recipe is one of the most healthy coconut dal recipes and we have other Kerala style recipes made out of this green gram or cherupayar. Even we have more ways to prepare this cheurpayar curry, including recipes without coconut and recipes with adding other vegetables to the curry. They are all healthy vegetarian dal recipes full of protein and fiber. Hope you found this cherupayar curry Kerala style recipe helpful in preparing simple and yummy cherupayar curry with coconut gravy for rice, puttu & kanji!